The angelic sound elixirs work directly in the DNA, which ensures maximum shift. Nothing changes until it is embodied and expressed in DNA. 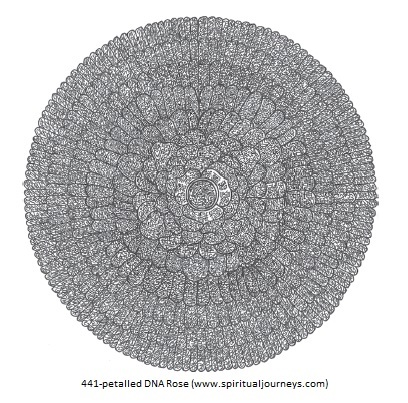 DNA is the basis for all that may express as faculties in you, which life then affirms to you… You are the central fractal pattern out of which your reality emerges, so refine the pattern and so your reality follows to greater harmonies and beauty. DNA responds directly to sound. So when you listen to these elixirs, you are integrating new coding in the DNA without any effort on your part. These sound elixirs, sung by the great mystic Almine, hold the light and frequencies of the mighty angelic orders that have been with us only since 2012. These elixirs are a true gift and blessings from the Infinite. If you want to read more about DNA and transformation visit the Q&A page from the DNA program here. I listen to elixirs daily and can attest to their transformational power!